Burning Moon's Inside advice: Chewy.com Review! 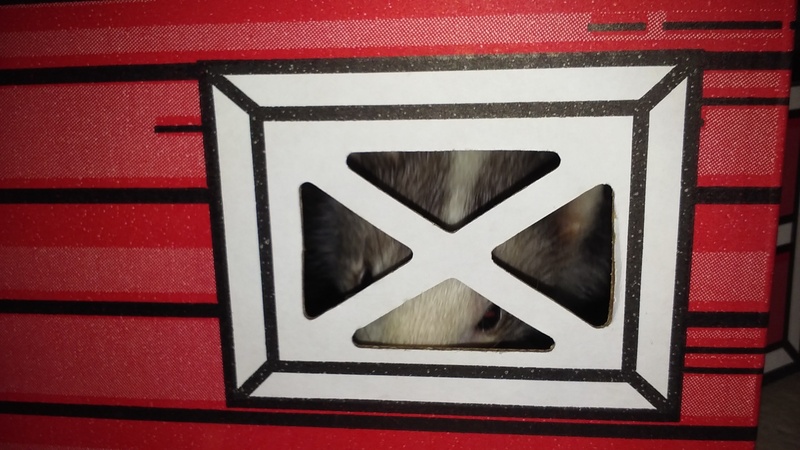 Our pets are just as spoiled as our kids so anytime we get the chance to review pet products it is hard to say no, each month I get a chance to select an item or two from a list of products from Chewy.com to review with my pets and they love it when the box arrives. This month I received two products, one will be featured on this post and the other will be posted in a few days. 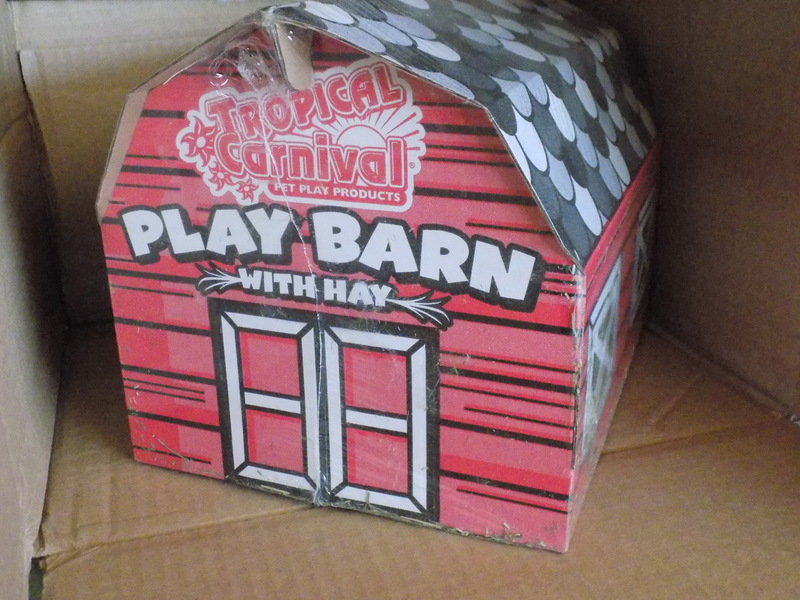 The first product up is the Brown's Tropical Carnival Play Barn with Hay Small Animals Hideout 8oz. critter playing in it. This is great for rabbits, guinea pigs, chinchillas, hamsters and gerbils. 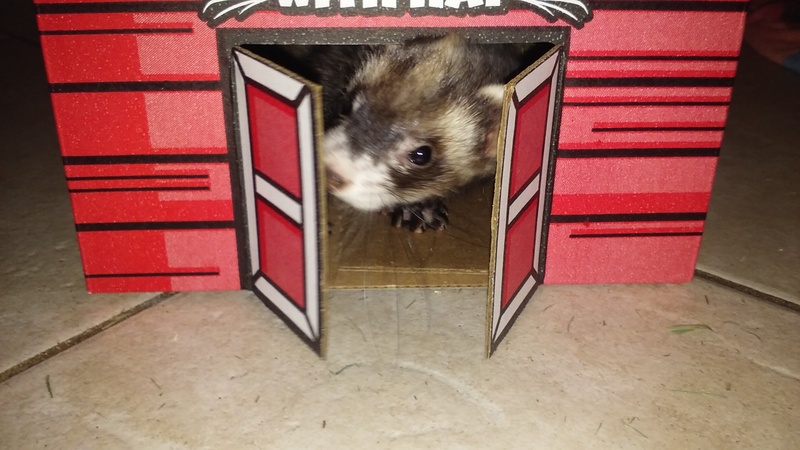 I tested this product out with my two ferrets, it will be an occasional treat for them because they love diving and hiding under blankets, etc so I knew they would love this as well, I did shake out a lot of the fine loose pieces from the box before letting them play in it. When you think 8oz it doesn't seem like it is a lot of material but since hay is pretty light this little barn was jam packed! 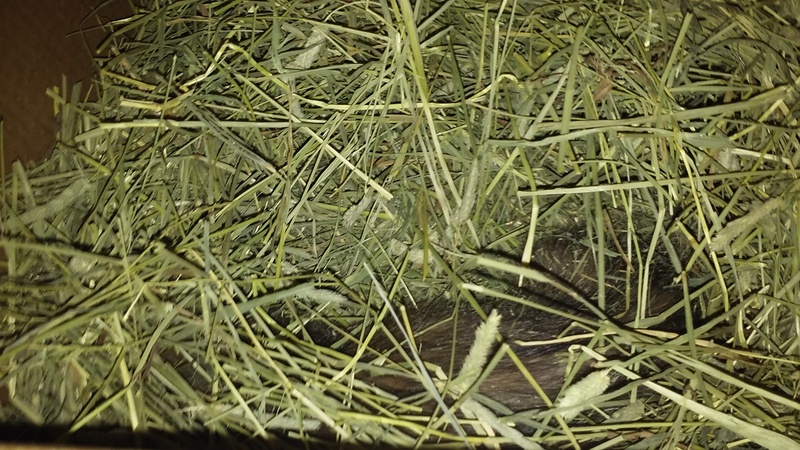 It was hard for them to get into at first so I pulled all of the hay out and placed it inside of a box for them to play in and put the barn to the side for them to play in as well, they had a blast playing in both boxes.Can you spot the ferret in the hay above? The Brown's Tropical Carnival Play Barn with Hay Small Animals Hideout sells for $7.52 on Chewy.com and not only is the hay fun for your small critters to hide or play in but the barn itself is printed with non-toxic vegetable inks so it is alright if your little guy/gal wants to chew on the barn. This site sounds so cool!